Is Perennial Peanut the Right Sod for Your Yard? With the current sod shortage occurring in Florida, you may be wondering how to satisfy your need for a beautiful, green lawn by the summer. Fortunately, perennial peanut is still available and could be the perfect solution for your property. Ornamental rhizomal perennial peanut is a low maintenance grass alternative that nicely covers difficult sunny areas. Though it is not a traditional grass blade appearance, perennial peanut does offer an aesthetically attractive hardy plant with green foliage and beautiful yellow-orange flowers. Which Perennial Peanut Is Best? Perennial peanut is grown in different forms, but the most popular and requested in Ecoturf. Many homeowners use Ecoturf around the sunny spots of their home that do not receive shade and need a ground cover that is extremely durable. It offers true drought tolerance, no known pests, no need for supplemental nitrogen or phosphorus fertilizer, and very little mowing! With proper care, your perennial peanut will stay about 4” in height. 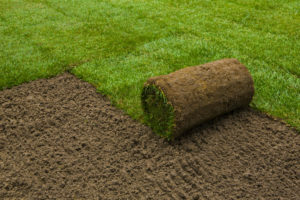 Even in this sod shortage, you can purchase sod for the areas of your property that experience little to no traffic and thrive in sunny areas. Since this ground cover exhibits a high degree of tolerance to Florida’s environment, you can trust that your investment will continue to enhance the curb appeal of your property. Not sure how to source your perennial peanut in Florida? You can rely on Council Growers Sod for your pickup, delivery, and installation. The Council family has been farming in Tampa Bay for four generations, and they offer professionalism, grower knowledge, fresh sod cut to order, and the honesty of a local business. Call (813) 633-8665 to learn more about the sod prices at Council Growers Sod and the grass options available for wholesale, commercial, and residential purposes alike.